If you're regularly exploring the great outdoors, taking care fo your clothing and equipment is of the utmost importance. Ensure that a quality pair of shoe laces are a part of your kit, as they alleviate the strain when you embark on long walks and hikes. Our collection is filled with hard-wearing laces for your convenience. Throughout our selection, you'll find hard-wearing elastic shoe laces featuring classic, reflective and round designs, in a variety of colours from leading brands, such as Scarpa and Ronhill. 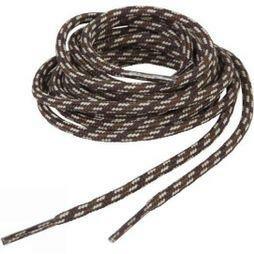 Take a look today and find the perfect pair of walking boot laces to see you through your outdoor endevours.